Alex asked for a bass for Christmas 1965, but received a Hagstrom guitar from his parents instead, which he "hated". 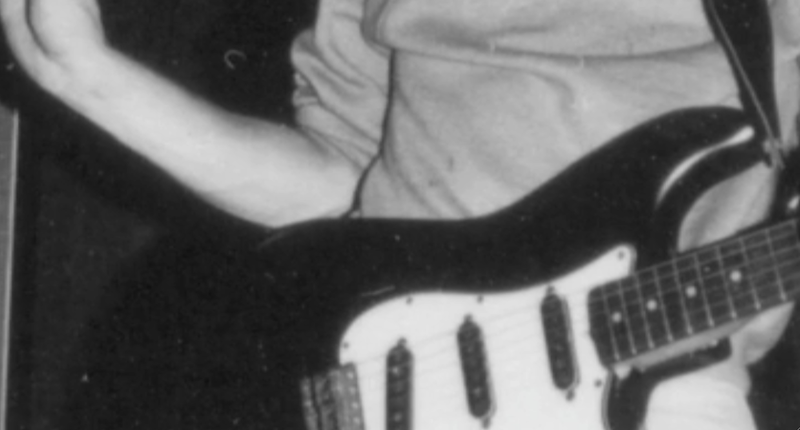 He learned the bass line from "All My Loving" on this guitar. 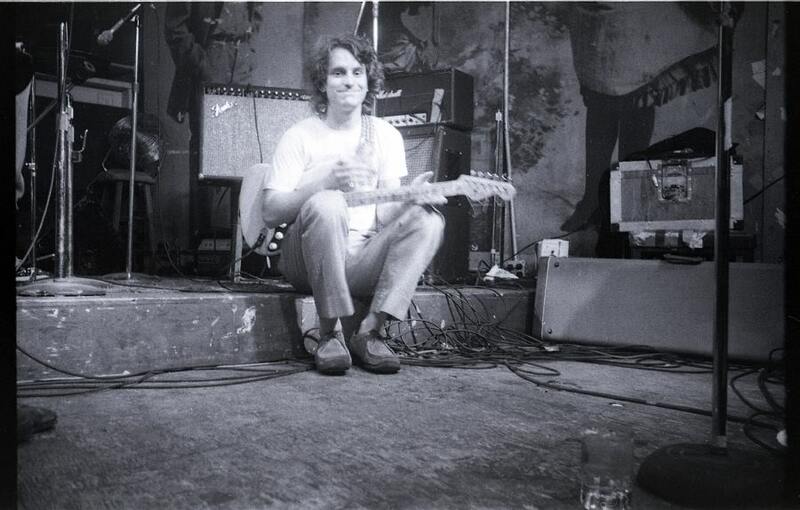 With money he made from The Box Tops, Alex purchased a "stripped" Fender Telecaster, his "first nice guitar". 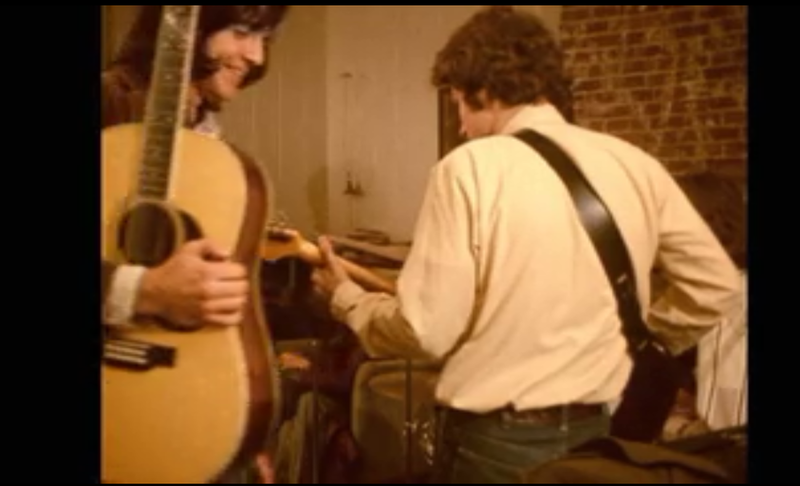 Alex used this Yamaha acoustic 12-string circa 1970. Alex brought his Martin D-35 to the #1 Record sessions; this is likely the guitar heard on "Thirteen". 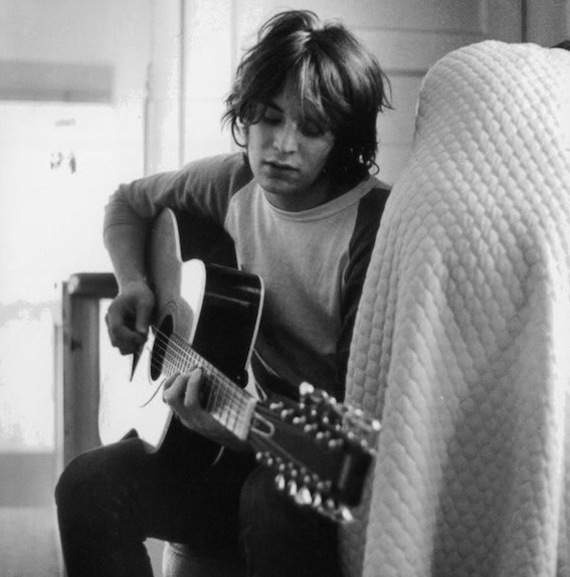 Right: Alex, pre-Big Star, with his Martin D-35. Note the fresh set of Gibson strings and a capo on the 3rd fret (which, coincidentally, is how "Thirteen" is played). 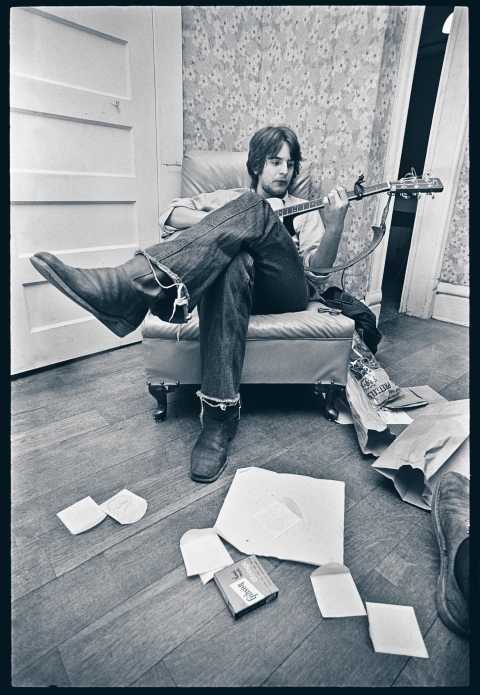 Right: Andy loved Alex's Martin guitars, as shown in these photos circa #1 Record, in Alex's parents' living room. There has been much mention of a Fender "Mando-Guitar" being used to record the intro to "September Gurls" (it is also rumored to be on "Daisy Glaze"), but exactly what this instrument is has not been determined. This black Firebird III, produced between 1963 and 1965, was most notably used by Alex at the Overton Park Shell in May of 1974. 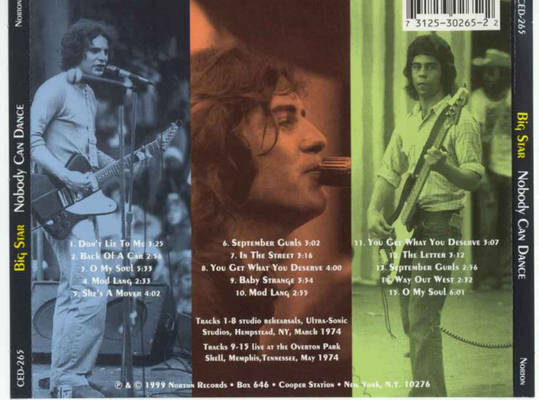 This show was the source of half of the "Nobody Can Dance" album, and Alex is seen with this Firebird in the inner sleeve. Mitch Easter opines that his may be the guitar used on "Mod Lang", one of the few songs on Radio City with a decidedly non-Strat sound. 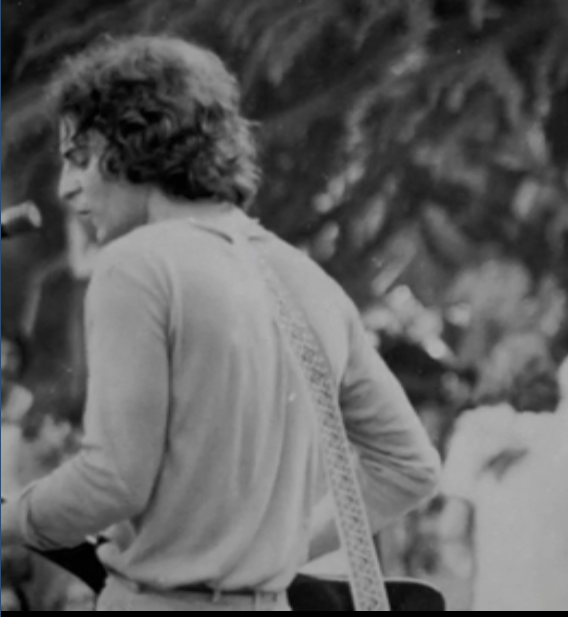 Van Duren recalls that this guitar was borrowed (likely after the band's gear was stolen), though from whom is unknown. 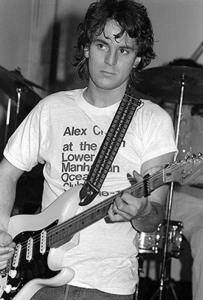 When Alex moved from Memphis to Manhattan in the late 70's, he brought this 50's Strat with him. 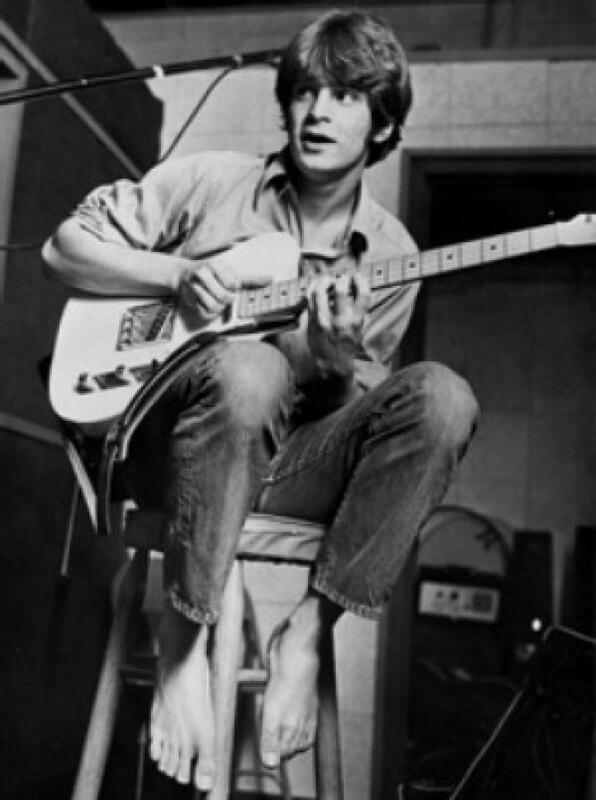 He played it with his post-Big Star band, The Cossacks, but may have also used it at the tail-end of his Big Star days. 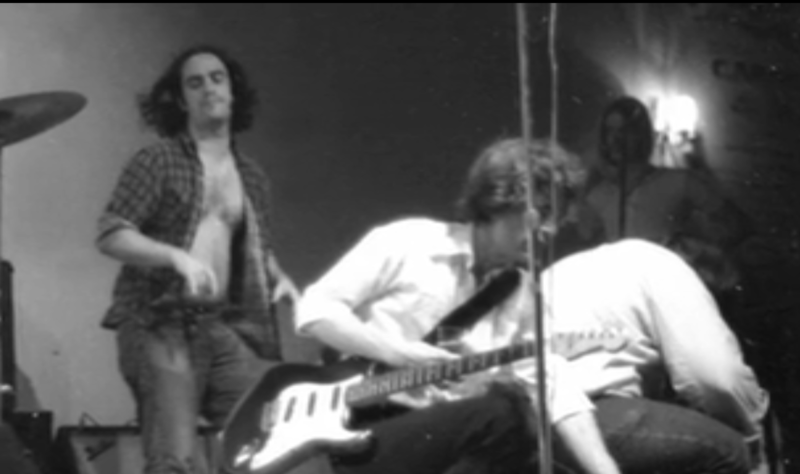 There is certainly Stratocaster on Third/Sister Lovers, and Alex's black Strat had been stolen by that time. According to Chris Stamey (Cossacks bassist, seen below), it is owned today by Poison Ivy of The Cramps (Alex produced their Gravest Hits EP and Songs The Lord Taught Us). 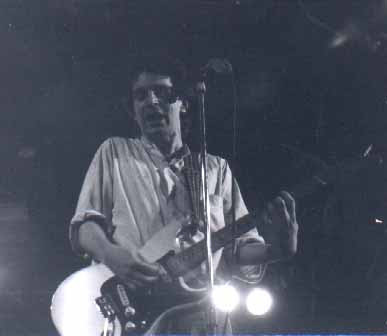 According to Mitch Easter, this guitar had a white "laser pearl" finish; this finish and pickguard are non-original.